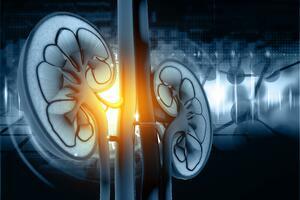 More than 600,000 Americans with end-stage renal disease (ESRD) require life-sustaining dialysis. In 2013, 1.2% of the Medicare population was ESRD patients. However, they accounted for an estimated 6.3% of total Medicare spending, totaling more than $30.9 billion. These high costs are often the result of underlying disease complications and multiple co-morbidities, which can lead to high rates of hospital admission and readmissions, and a mortality rate that is much higher than the general Medicare population. To promote high-quality seamless care for ESRD patients, the Centers for Medicare & Medicaid Services (CMS) Innovation Center has initiated a Comprehensive ESRD Care (CEC) model. Its purpose is to improve outcomes and reduce costs for ESRD Medicare beneficiaries by establishing a patient-centered approach to treating the disease. The model addresses the full spectrum of Medicare ESRD beneficiary healthcare needs by offering financial incentives for accepted ESRD Seamless Care Organizations (ESCOs). ESCOs include dialysis facilities, nephrologists other Medicare providers and ESRD stakeholders. Thirteen ESCOs already are participating in the two-year-old program. For information about the CEC Model see ESRD-CMMI@cms.hhs.gov.